NESTLÉ Pakistan is one of the country’s fastest growing food processing companies. It is mainly involved in manufacturing and selling packaged milk and milk products, juices and bottled water. A subsidiary of Nestle S.A., with the Swiss company controlling 59pc of its shares, the firm has invested heavily ($180m) since 2012 to increase its production capacity (mostly at the milk powder drying facility) and improve its operational reliability and supply chain. The new investments have paid off and significantly impacted the firm’s sales as well as its profits, as its gross turnover rose to Rs105bn in 2014. 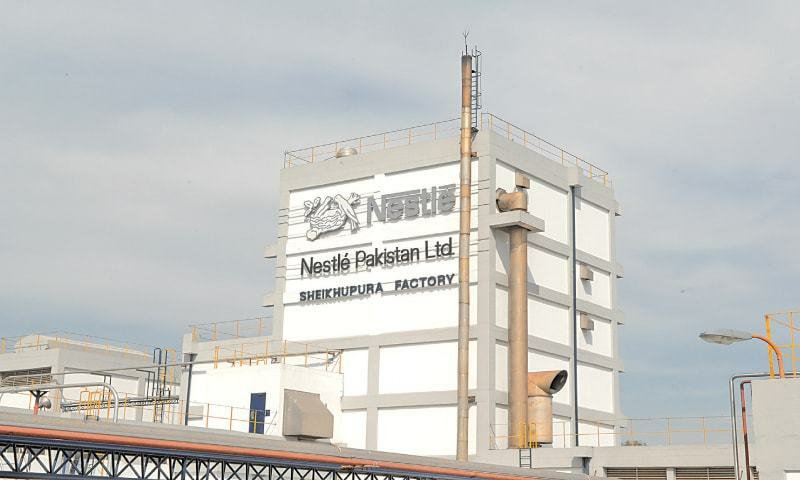 The rapid and consistent growth in the sales and profitability of Nestlé, which entered the Pakistani market in 1988 under a joint venture with Milk Pak (whose management it took over in 1992), over the last several years indicates the potential of the food processing industry in the country. The company more than trebled its after-tax profits to Rs5.8bn between 2007 and 2012 — the years marked by increased terrorist attacks and sectarian violence, heightened political volatility, higher food and headline inflation, energy shortages, and below 3pc GDP growth. During 2013-14, the company’s profits spiked by 36pc and reached Rs7.9bn despite disruptions caused by security conditions, political instability, energy crunch and weakened purchasing power of consumers on account of a slow-growing economy. The company’s revenues and profits have continued to grow this year. Its sales grew 3.9pc to Rs77.2bn and its after-tax profit spiked by a hefty 20pc to Rs7.68bn in the first three quarters of the year from a year ago. The growth came on the back of low input costs, higher sales volumes and a ‘stable’ currency. But a comparison of the unaudited financial results for the three quarters shows that the firm earned 47pc of its profit in the first quarter, with its sales rising to Rs25.34bn — less than one-third of total sales during the nine-month period. The major reason for the lower profits in the second and third quarters of the year is the sharp rise in the cost of goods sold as a percentage of sales, which increased to 67pc in the two quarters from 62pc in the first quarter. A company spokesperson, nevertheless, argues that it is not relevant to compare the profit earned in one quarter with that in others in the same year because of the seasonality of different businesses. Analysts contend that food companies emerged as one of the best performing corporates in the first half of this year. “But the trend appears to have reversed in the third quarter,” an analyst working for a brokerage company in Karachi insists. The global decline in commodity prices, primarily the collapsing of international powdered milk prices, as well as lower milk procurement costs, decreased oil prices and transportation expenses, stronger rupee, higher demand and domestic retail prices etc are all said to have contributed to the profits of Nestlé and other food companies. “In recent years, GDP growth in Pakistan has remained rather inadequate. Yet, the consumer sector has thrived with high double-digit growths in income. But the financial results of the third quarter are not very encouraging,” says the analyst. Sector watchers believe that low commodity prices and crop losses, which have greatly impacted rural incomes, have led to a substantive decline in overall consumer spending. “The drop in sales of food and consumer goods companies may be seasonal and temporary because the demand for packaged foods has grown rapidly in cities across the country as well as in villages in Punjab. Or it could last longer than we expect it to as reports of cotton crop losses in Punjab are rife,” another financial analyst observes.